This work tells you how much Mrs Y loves her own rabbit and cat who are waiting for her to come back to Australia. Surprisingly it was the first time Mrs Y made a mosaic art. But she soon mastered the making skills and has completed this beautiful piece only in one day! 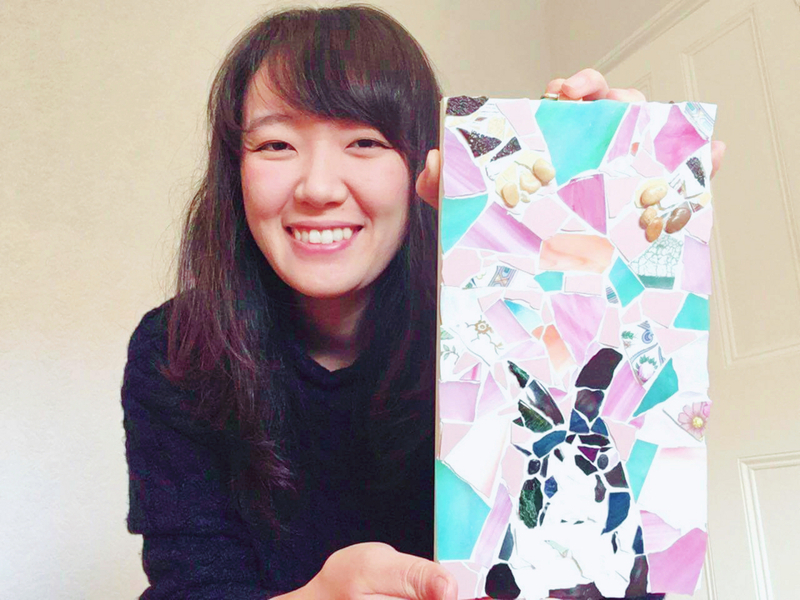 Her every day work requires lots of hand work as an animal healthcare professional and she managed to transfer some of the skills into the mosaic art making.